I thought this deserved its own thread. 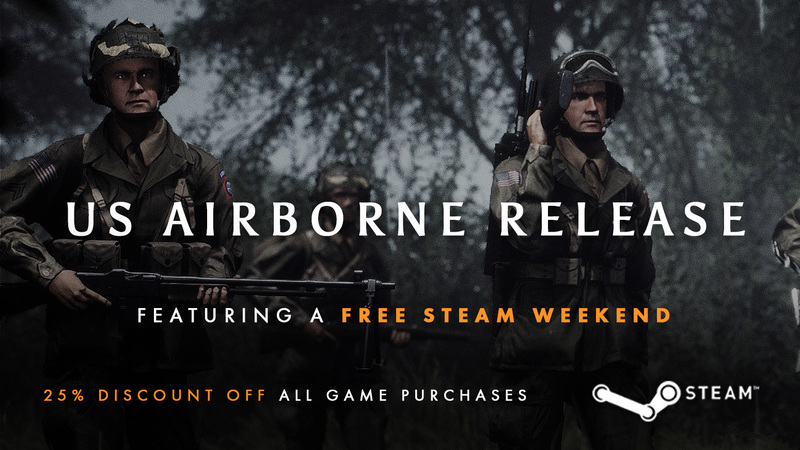 Anybody can download and play for the weekend without needing to own it this weekend. This is my go to shooter for realism mixed with good mechanics and co-operation. This is not a battlefield game. It’s more like a slightly smaller mapped competitive version of arma3. Its about operation market garden and includes a huge selection of vehicles that need 3 or more crew as well. If I was to choose something it’s closest too. I would say red orchestra 2 with larger maps, more vehicles and better graphics. The weapon sounds alone are worth the download. The whole game has a great feeling and atmosphere. This is wierd. This topic thinks posts that happened less than 24hrs ago happened in 2012. Jomni not sure about performance and how it affects ping as the servers I play on are generally 100 or so. Killing people does seem hard in this game though probably because of general performance. How do you like the game apart from the fact you cannot kill anybody. It is important to squad up and choose a weapon/role. Not enough time to form an opinion. Ive tried to play several times... I get a lot of crashing...when i did play, i find it a lot like Darkest Hour except i think Darkest Hour is better! I played it pretty regularly until Windows 10 ate my microphone driver. I did like it and got a fair number of kills with TNT and the Enfield and grenades and gammon bombs and the sten and the Bren...not so much with any of the mortars or the PIAT. I have to have a mic because I often take the role of Section leader but with nobody in the section. You can automatically report spotting and hear all the command-level communications -- but without a mic I'd be kicked really fast for doing things like that. If you want to kill a lot, you need to find the enemy's path from the spawn to the current battle area. then you can just settle down and shoot a lot of people in the back. Another kill method is to have TNT and hunt Panzers. One problem there is being hit by your own side's bombs and artillery. when i did play, i find it a lot like Darkest Hour except i think Darkest Hour is better! Well of course - Darkest Hour is the best FPS evah! I bought the game anyway. Performed much better in a server with <100 ping (Singapore based). But not sure about the longevity of that one going forward. Again I am getting the 120 days warning? Can anybody else see jomni replied in 2012? Your time-traveling ways have finally caught up with you. Topic still 120 days old .